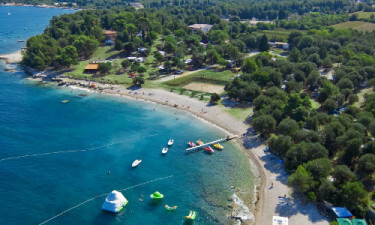 Camping Brioni is situated on the peninsula, Istria, in Croatia. The campsite is located in scenic surroundings with a fantastic seaview for everyone to enjoy. Brioni is a perfect place for families to have a relaxing holiday. 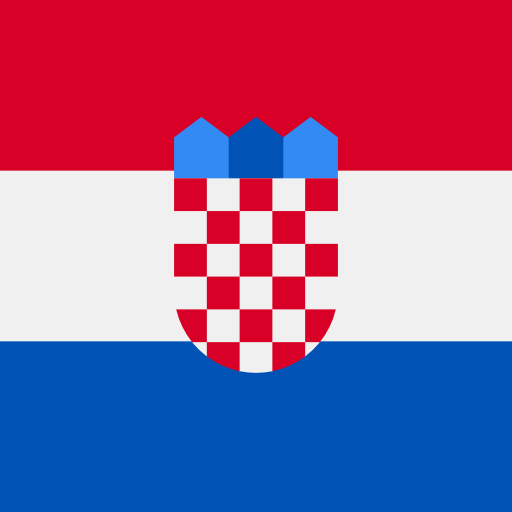 Brioni is closely located to the Brijuni islands which is a group of 14 small islands in Croatia. Therefore the campsite is perfectly situated for you to discover the different islands. 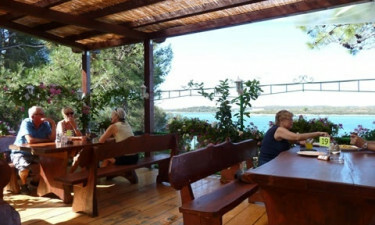 Near by is also the city Pula, which is known for its winemaking, fishing and tourism. Camping Brioni offers a variety of different activities for the entire family to enjoy. You will not be bored at this campsite. Why should you camp at Brioni? We have listed the main reasons below. At Camping Brioni you have the opportunity to participate in the different sportsactivities: football, basketball, beach volleyball or tabletennis. Otherwise you could rent a bike to explore the beautiful nature areas. The campsite is also a perfect place for families with teenagers. The pulsating city Pula is filled with people, parties and music. Brioni offers a miniclub and have a playground placed for the smallest ones. At the campsite you could visit Brionis restaurant which has a great view by the ocean. The restaurant offers a variety of local speicalities for you to enjoy. Otherwise you could go shopping at the campsites minimarket and make your own dinner at home.